From a cross-town hop to an intercontinental tour, the America LT will take you there in style. 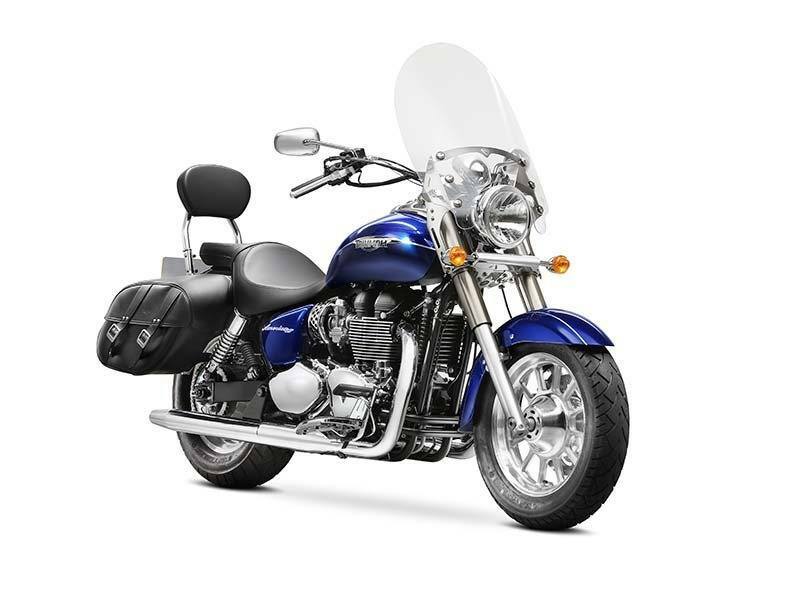 Based on the engine, chassis and legendary styling of our America, the LT adds a layer of touring capability and an enviable range of factory-fitted extras designed to make those longer distances a breeze. All the while maintaining the traditional deep chrome and polished detailing demanded of a classic cruiser, of course. Everything about the America’s chassis is focused on balance and we’ve matched each component carefully to maintain that steady, intuitive feel. At the back, the America LT’s generous leather panniers are showerproof and come with metal buckles over durable, easy-to-use plastic clips. The cast aluminum wheels are small in diameter. 16 and 15 in. front and rear and fitted with chunky, deep sidewall tires for a classic cruiser look and a more comfortable cushioned ride. A seat height of just 690 mm makes the America easy to control when gliding through traffic or parking. In fact, the set-up suits many riders that find other bikes too tall. Whatever your height though, easy positioning of the bars, seat and footrests means you’ll quickly find your most relaxed and comfortable cruising posture. 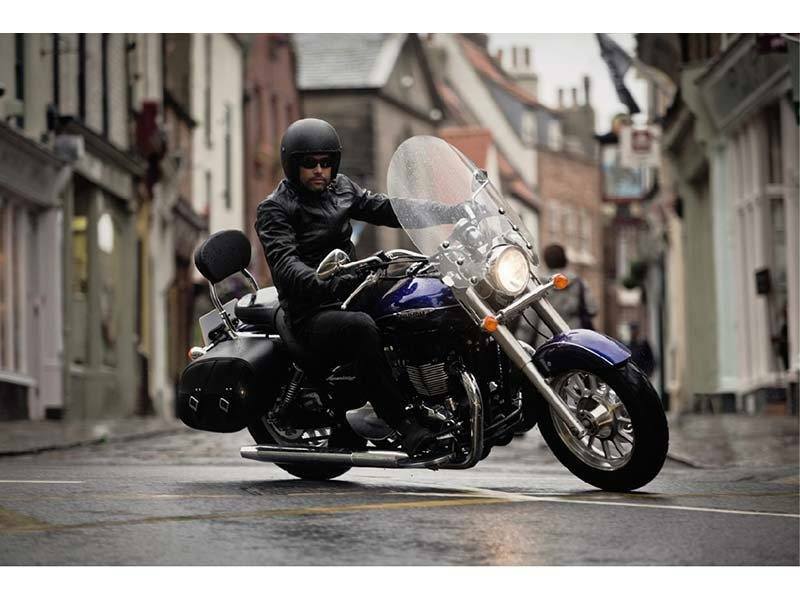 As a pure unadulterated cruiser, your riding position should be upright, laid back and spacious. 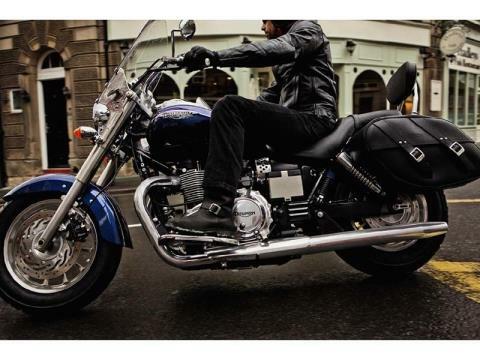 But never at the expense of comfort and sheer riding pleasure. So the America’s bars hang high and wide but are also pulled back so that the controls are closer to you. And we’ve set the footrests far enough forward for comfort, without being too much of a stretch. Putting you in firm, confident control of your bike during busy urban riding or long-distance travel. 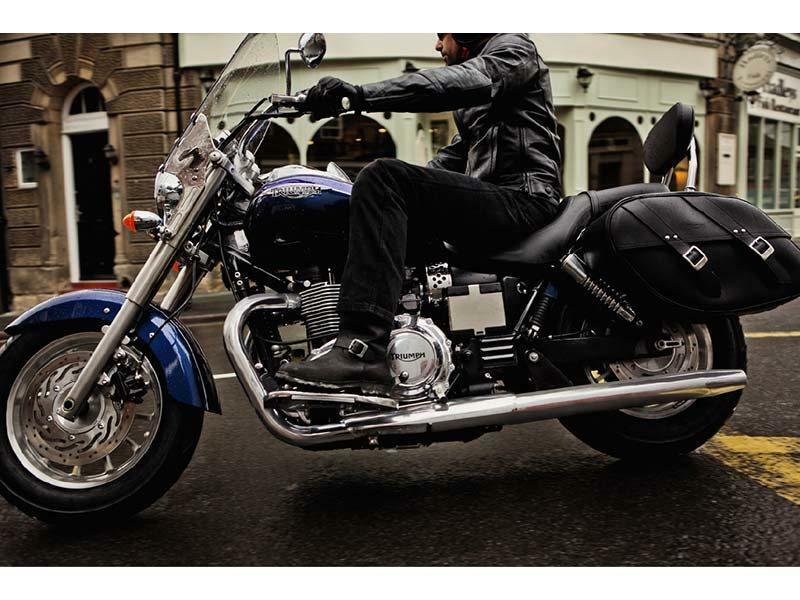 High-quality aluminum footboards and removable skid plates come with a classic heel / toe gear shift, positioning the rider’s feet for maximum comfort and control. The tall windshield deflects the worst of the weather and is easily detachable (via a pair of spring-loaded levers at each side of the screen) to achieve a completely alternative look. We added a pillion backrest to add all day comfort for your passenger too. Built to be ridden, not just to look good. The America’s 865 cc parallel-twin puts out a healthy 61 PS with strong torque at low revs, peaking at 72 Nm at just 3,300 rpm. Ideal for urban cruising at low revs but with enough muscle for serious long distances at motorway speeds, even with a passenger or luggage on board. This vertical twin is a true original. Drawing on our heritage from fifties and sixties parallel twins and coupling that with modern technology and build standards, the engine in the America has a laid-back riding character that’s unique to the cruiser world. 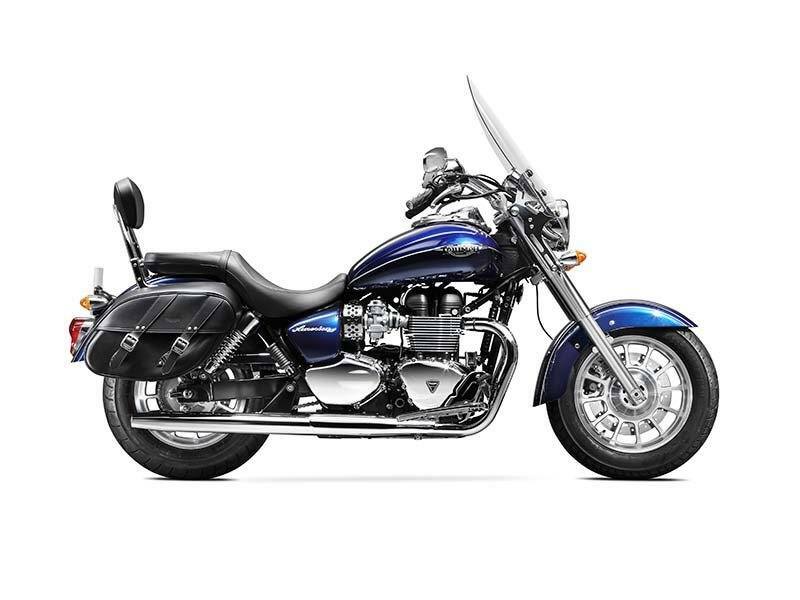 Swept-back classic styling, characterized by details such as the dramatic slab top yoke, center-mounted white-faced speedometer, large single headlight, chrome tank console housing and filler cap, and hand-painted tank and mudguard coachlines.